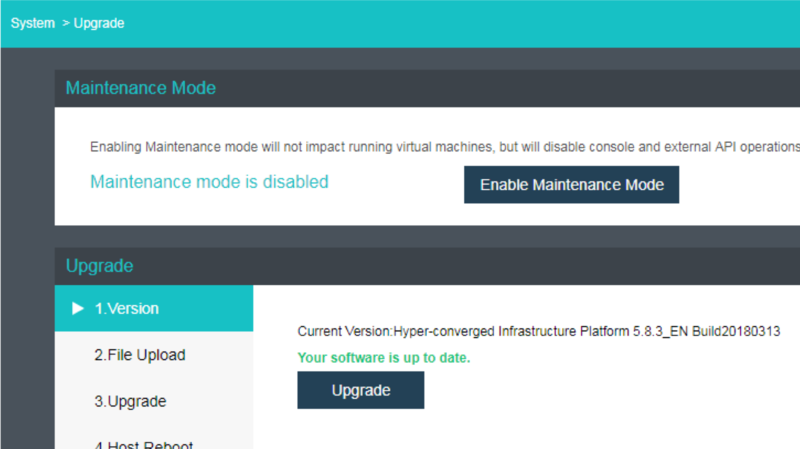 Sangfor HCI 5.8.5 is Released! 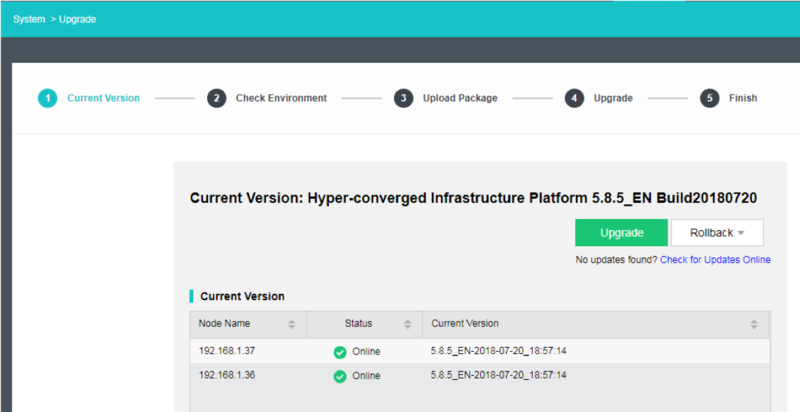 Categories › Product › aCloud (HCI) › Sangfor HCI 5.8.5 is Released! What improvements have been made in this version? 1. Support large cluster delivery: a maximum of 48 nodes and 6 virtual datastores (4 virtual datastores are recommended) are supported in a single cluster. 2. Optimize response time to offer better user experience: In large-scale cluster, administrators can get response within 3 seconds, 10 times faster than before, when performing operations on frequently-used pages. 3. Optimize upgrade process. The system checks environment before upgrade and visualizes the whole upgrading process and errors during the process to improve user experience. 4. Upgrade kernel from redhat7.2 to redhat7.4 to bring better hardware compatibility. 5. Integrate DPDK to support built-in NIC for v5 product to save hardware cost for customers. 6. Improve the cluster stability and reliability. 7. Support Gmail mail alarm. The system checks environment before upgrade and visualizes the whole upgrading process and errors during the process. Update the new version by clicking here to enjoy the new features today!